Bea's Book Nook: Borrow Bea's Kindle Books! I have a large collection of Amazon Kindle books that can be loaned. One of the disadvantages of ebooks is that often they aren't lendable but there are some publishers and self-published authors who are savvy enough to make their books lendable. And really, borrowing someone's book, or sharing your book, is a great way to try a new author, series, or genre. For years I've had a shelf at Goodreads labelled "Kindle books to lend" so I could loan friends a book. But I have hundreds and only a few have been borrowed so I decided to open it up to readers of the blog. Check out my shelf at Goodreads to see if there are any books you are interested in. I try to keep the list up-to-date and *try* to remember to remove a book once I've loaned it out. To borrow one of my books, message me at Goodreads or email me at beasbooknook@gmail.com. Put "Borrow Kindle Book" in the subject line. If I lend you the book, (and as long as you are polite with your request, and the book is lendable, I will lend it), you will get an email from Amazon informing you of the loan. You have 7 days to accept the loan or lose it. The loan period is typically 14 days but is set by the publisher so it may vary. At the end of the loan period, the book disappears from your Kindle device or app and cannot be renewed. If you happen to make any notes or highlights and end up buying the book, Amazon says those will be in your purchased copy. ETA: On the 14th of September, I was able to successfully lend a book to Line in Norway. So, even if you don't live in the US, hit me up and let's give it a try! Do you by any chance know if the lending works across borders or if that is a function available only to those of you in the US? HI. I believe it's only sharable with US to US. I don't think they have opened it up internationally yet. Maybe one day. Go for it! It's worth a try. Angel is probably right but no harm in trying. Success! I was able to loan a book to Line, who lives in Norway. She returned it today. So, if you see a book you want to read, send me a message! This is such a wonderful idea, Bea! 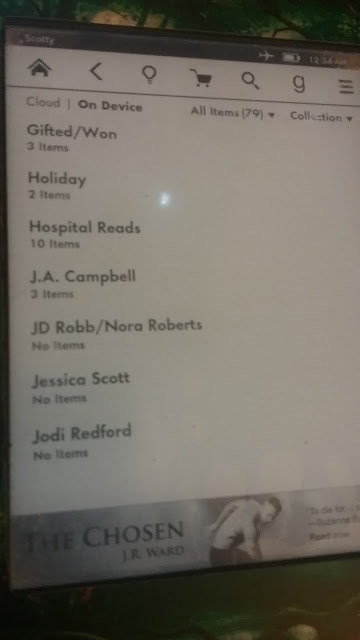 I have so many kindle books and I never thought to keep track of which ones are able to be borrowed. I love it! Thanks! It seems a shame to not lend them when they're shareable, and so many Kindle books aren't. It's just another way to share the book love.